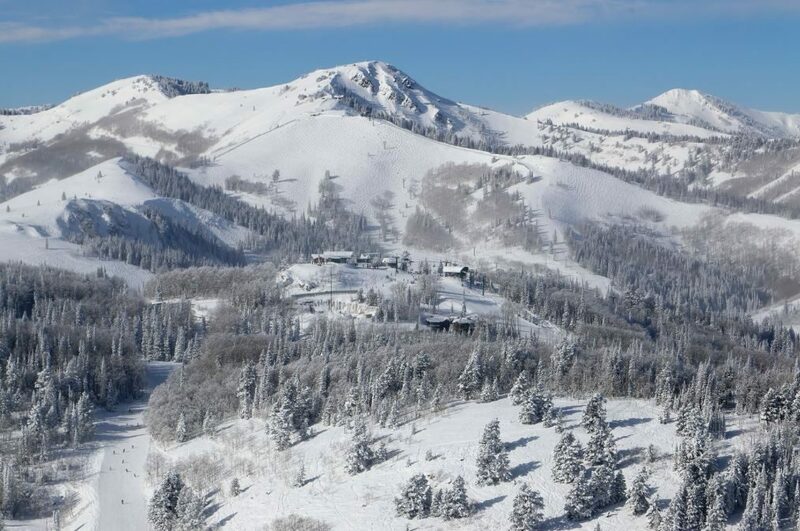 I’ve skied at Deer Valley Resort for five seasons and as a blogger, I am always on the lookout for special services the resort offers. 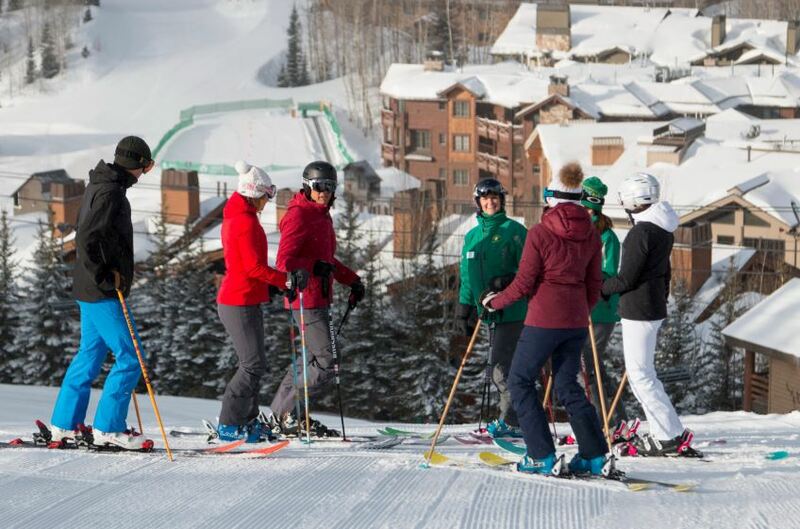 Group tours for intermediate and advanced skiers meet daily at Silver Lake Lodge and Snow Park. 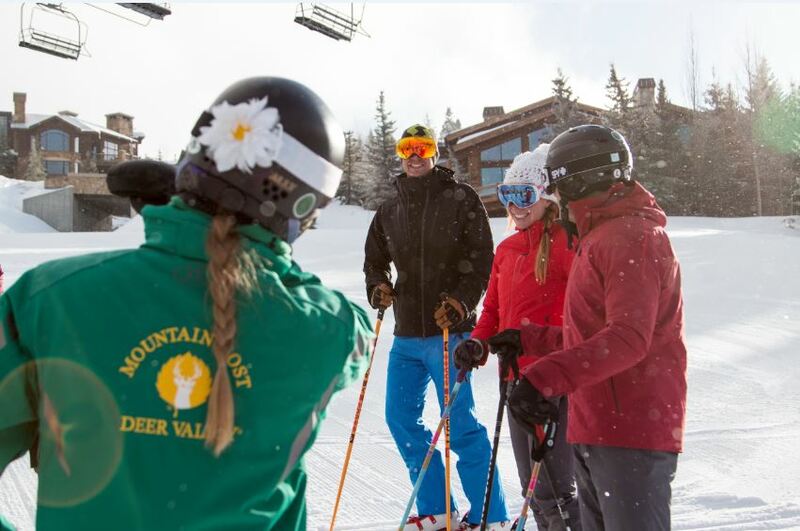 Every guest could start their vacation with a mountain host showing them the ropes at the resort. It’s not a secret! Deer Valley certainly promotes this service but it just wasn’t on my radar. Either way, I availed myself of the opportunity. We all know and love the Mountain Hosts. You can’t miss them. They are the friendly, smiling people in grey ski pants and green jackets. You’ll most often find them standing by one of the large maps where a lift drops you off. They answer questions, give out useful information on current conditions and help you determine if your skill level is a match for the runs you are contemplating. My Deer Valley Mountain host was Jody, an 19 year employee of Deer Valley. When I spotted her at Snow Park at our prescribed meeting place, she was chatting with a beginner skier about good warm up runs and the best route to Deer Hollow. After Jody greeted me a with warm welcome and that signature smile, she gave me an overview of the services at the lodge at Snow Park. The plan was to hit all five peaks at Deer Valley in our two hour time together. I was excited because I had only been on Little Baldy Peak once this winter and had never set foot on Empire Mountain. We started up the Carpenter Express chairlift on to Bald Eagle Mountain and took Little Stick ski run over to Little Baldy Peak. On the way, Jody pointed out Champion ski run, which was the site of the World Cup Moguls competition. We peered over the edge before heading to ski by the St. Regis hotel. 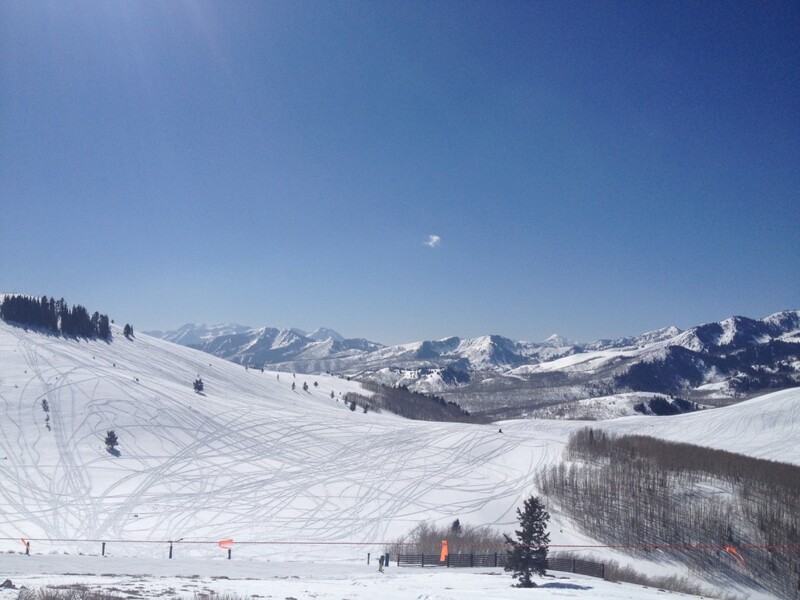 Little Baldy Peak is a local’s favorite for beginners since the green run, Deer Hollow, is wide and long. Are you excited to jump on a new lift and explore new territory? I am when I have a professional by my side to show me the way. 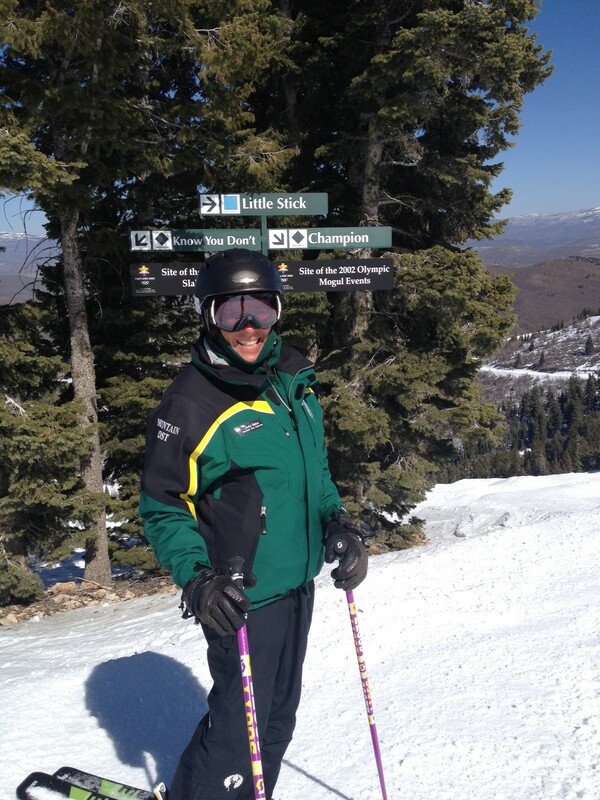 We took the Wasatch Express chairlift and headed to Bald Mountain. I’d avoided this mountain in the past because of the proliferation of black diamond runs. Little did I know what I was missing. 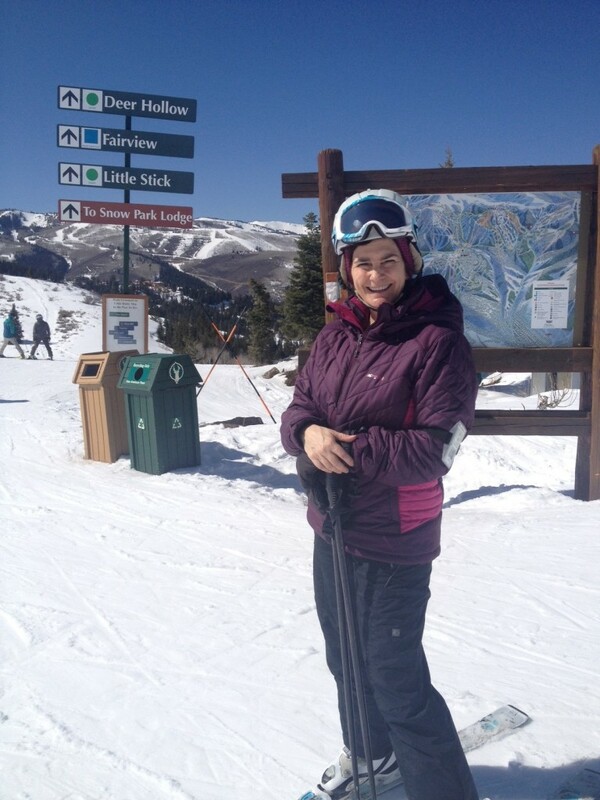 On the chairlift, Jody shared a bit of history and a beginner’s tip. Bald Mountain has a green run. It’s true! 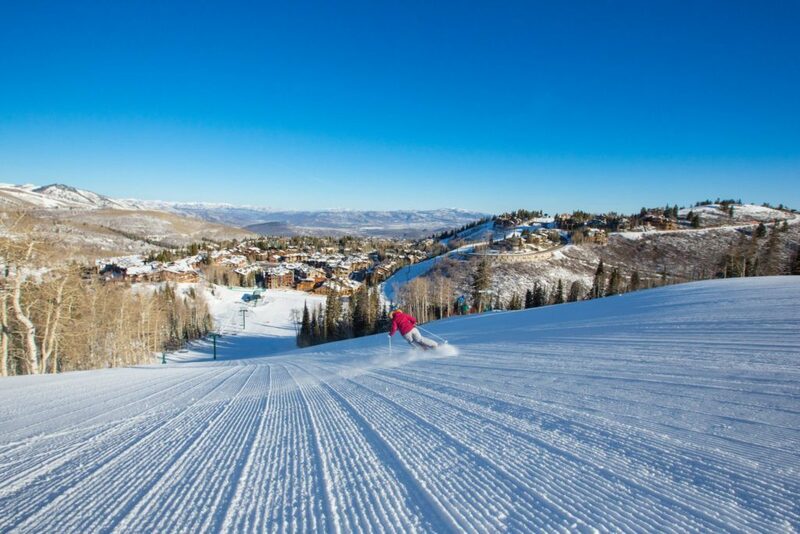 Right at the top of the highest peak, you will find a solid green run called Homeward Bound ski run that gives you a special treat, views of Mount Timpanogos and Heber Valley around the back of the mountain. On the way down, we took a blue ski run, Sunset, and passed the cabin where they have non-denominational church services on Sunday afternoons and Shabbat on Fridays. This is also the home of Sunset Glade where skiers can enjoy skiing through an aspen grove. Flagstaff Mountain was next. Since I know this mountain well, we didn’t stay long and we took Bandana ski run to head over to Empire Express chairlift. I’d never been on this lift either. I was excited! Off of the Empire Express chairlift, we could see expert skiers traversing the mountain and dropping into bowls to ski the powder there. Jody was taking me to a single blue ski run named Supreme and she led the way down. We then headed to our final mountain, Lady Morgan (on the lift appropriately called Lady Morgan Express). After stopping to take in some of the best views on the mountain, we headed down Pearl ski run, a mellow beginner run. We had conquered five mountains in one day and more importantly, Jody pointed out new places for me to explore. She also provided me with some fun facts about the resort. Get the local’s take on dining. Jody shared information on restaurant choices on the mountain such as Fireside Dining and the Mariposa. You are welcome to repeat. Jody says she sees some of the same guests year after year for a tour at the start of their vacation. Skiers who are coming in for a weekend might want to take a tour. 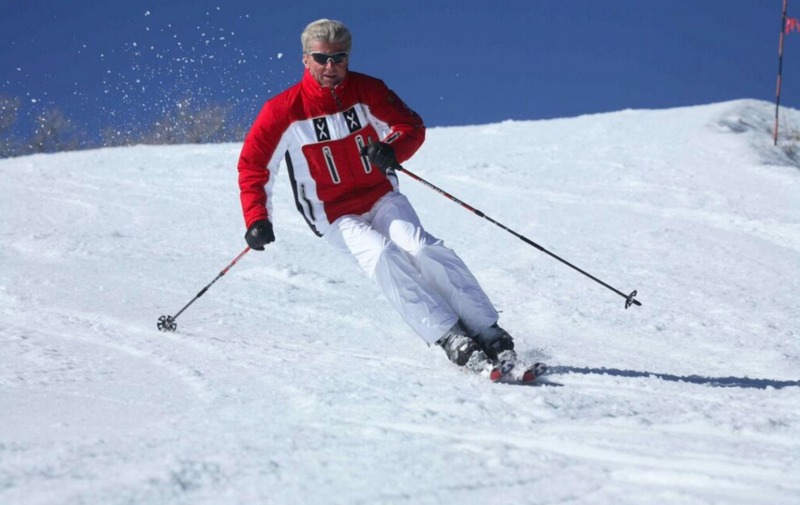 Many skiers end up skiing with the other guests they meet on the tour. So if you are skiing alone, have a different ability than the rest of your group or are simply feeling social, a group tour might work out well for you. Your host can give advice on not just what, but when. Since Mountain Hosts are so familiar with the ski conditions on the mountain, Jody filled me in on the best times of the day to take certain runs. For example, we avoided Birdseye ski run off of Bald Mountain in the late afternoon and took Homeward Bound to Sunset instead. Mountain Hosts are full of great tips on conditions throughout the day. Tried to call guest services to set this up for an upcoming visit and they knew nothing about it. Said it was not a thing….so….who do we call to arrange it? Thanks for reaching out Taylor. 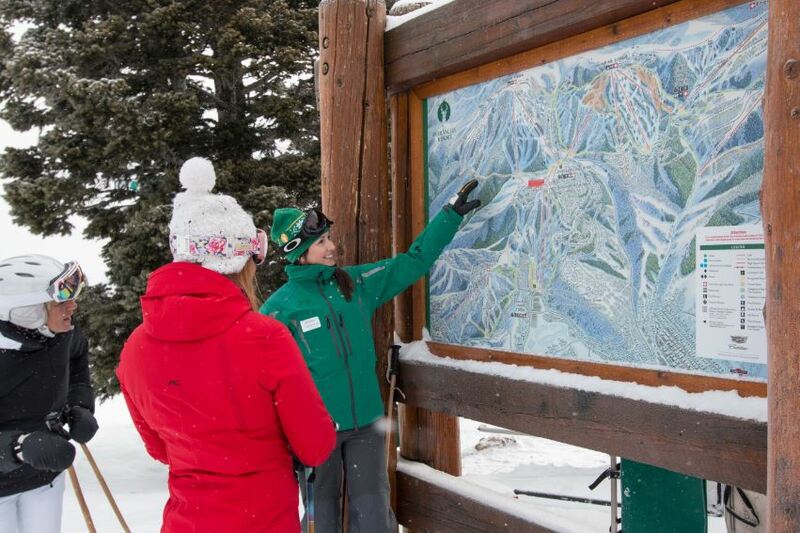 You can schedule a private mountain host tour through our group sales department. Please call 4356456507. Enjoy your mountain host tour. How do I go about setting up a free mountain tour? Will be out there Feb. 26-March 1.